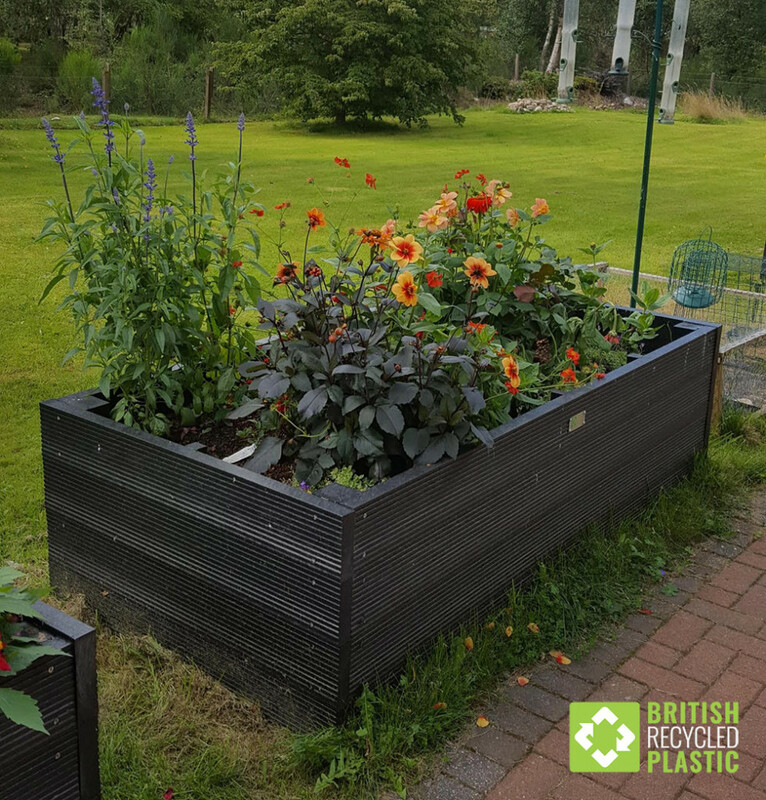 Our recycled plastic raised beds have proved very popular ever since we introduced them as kits a couple of years ago. 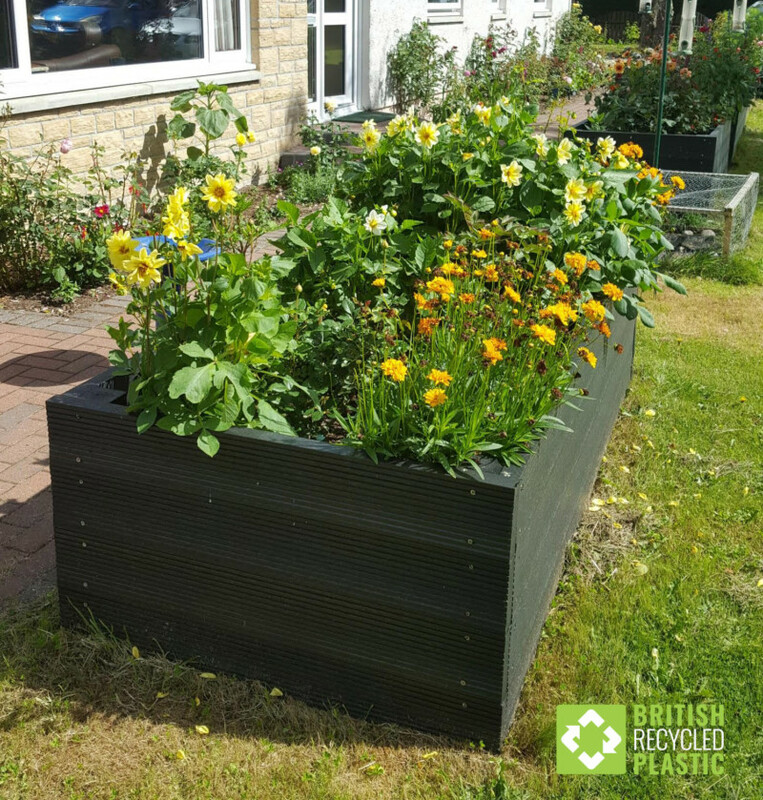 Very simple to assemble, virtually indestructible and easy to transport in quantity, they have proven a big hit with dedicated gardeners who are tired of replacing rotten wooden raised beds time and again every few years. For all that the use of recycled plastic helps with the sustainability of our planet, most of our customers look to the reduction or elimination of maintenance as their main driver for buying our products and gardeners are no different in that aspect. 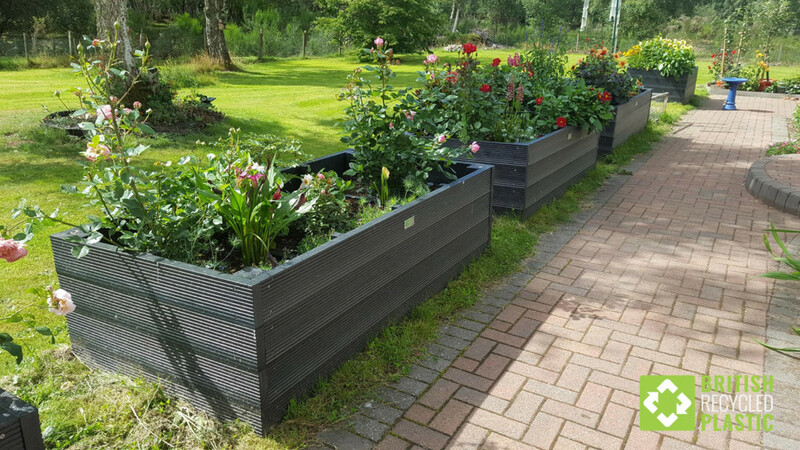 Like all of our our products, we’re very proud of our raised beds, but even so, it’s always nice to get customer feedback, so when we heard back from Dr Paula O’Donnell on the Northwestern coast of Scotland we were particularly pleased and grateful. “Just to let you know, I am delighted with the raised beds having put them together and planted them up they look very stylish. The product is heavy and sturdy, surely you are right when you say that they could last 100 years! They will certainly not need any maintenance in the future even down to the non-rusting screws. Being so easy to assemble I would not hesitate to recommend them to anyone who is thinking of buying something similar, we have previously made garden beds from wooden sleepers which was infinitely harder and I would not use wood again in this way. Many thanks not only for the great product but also for the fantastic customer service.